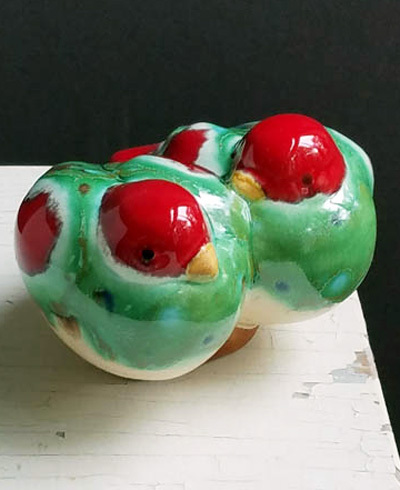 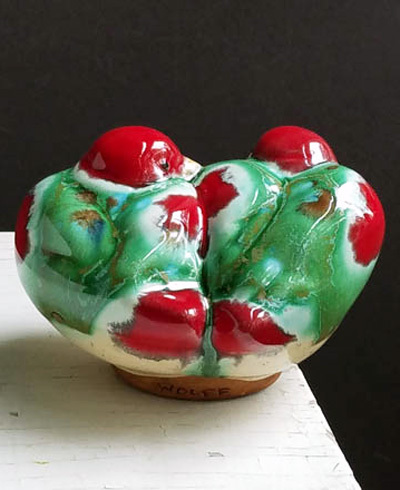 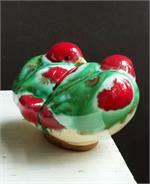 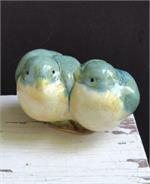 A pair of lovebirds decked out in bold flame and emerald glazes. 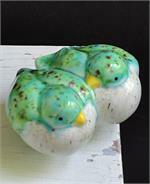 The glaze on the underbelly is a speckled crackle white. 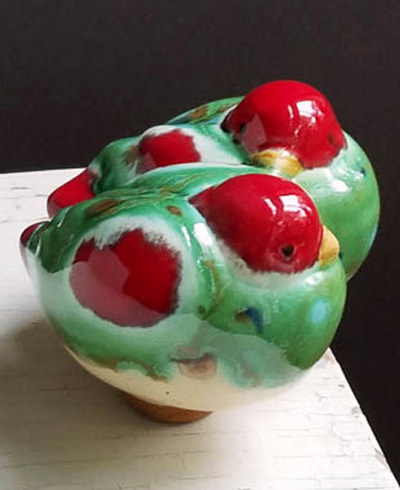 This bird is approximately 3 inches high. 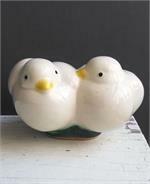 These lovebirds are glazed with a creamy white glaze called Parchment.